Cloud Technology is gaining popularity due to its advantageous side. Testing the cloud is nothing but testing the applications which are using cloud-based resources. Cloud provides IaaS (infrastructure as Service), PaaS (platform as Service) and SaaS (software as Service) as the resources, for which the tests are executed. The end-to-end solutions of cloud have transformed the general testing approaches. Along with reducing the incurred cost over testing, it has strengthened the performance and utilization factors for the organizations. Functional and non-functional, both types of testing approaches are needed to acquire when it comes to testing the cloud. 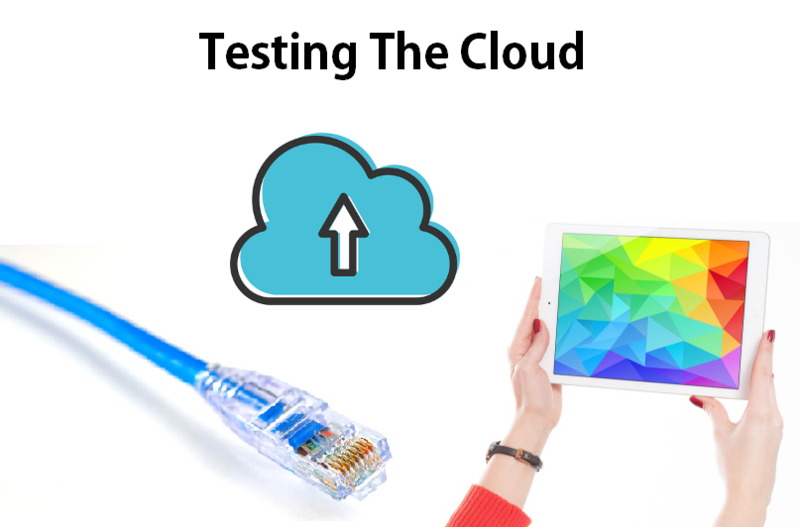 Here are different types of testing approaches which are implemented for cloud-based testing. Performance testing is carried out to validate the response time and system’s ability to handle multiple requests as per standards. Network latency, system’s behavior during maximum load condition, stress and load testing, optimality of performance, performance during varying load and resources are some important checks to be performed. Recovery Testing is necessary to confirm the basic requirement of cloud i.e. availability after passing of a disaster as the cloud needs to be available for every second to its users. The factors judged during this approach are -Recovery time from disastrous situations, network outage, system failures, a breakdown in high load situations and data loss in such scenarios. Multi-tenancy Testing checks the cloud’s security protocols and access control techniques in multi-user environments, while a single instance is being accessed by multiple users. Needless to say, cloud can’t be utilized without proper Security Testing as it stores confidential user data while staying available to everyone. Access control and authorization approaches should be well-tested before their deployment. Availability Testing investigates the system’s availability time and behavior – especially while failure occurs in critical conditions. Scalability Testing ensures the flexibility, scaling capacity, and robustness of the system. For reliability and flawless operations, functionality testing is needed. Multiple variations of functionality tests are used while testing the cloud. These are as defined in upcoming sections. Interoperability Testing is done for checking the compatibility of applications with multiple platforms. The application should be functionally consistent with every platform for its acceptance but with the cloud, the conditions are more. An application, if able to work properly while migrating to one cloud platform from other, then only it can succeed or accepted. Moving in the row, Acceptance Testing is used for testing if the all the expectations of users are met from the cloud platform or application. This testing is deployed through making the product available for a specific group of willing users and asking them to provide the feedbacks and suggestions. To test the cloud and its modules for functionality, System Verification Testing is used. It checks if the modules are performing their intended functions properly or not. Cloud computing is expanding due to its flexibility, higher resource availability, scalability, least hardware requirements, and cost-efficiency. Cloud testing will help organizations to take the maximum benefits out of it.